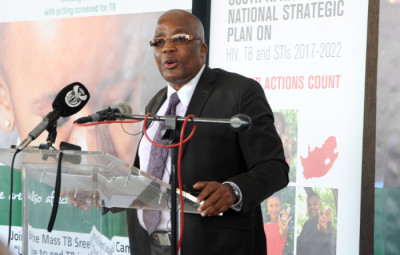 Pretoria: In his capacity as chair of the South African National AIDS Council (SANAC) the Deputy President of the Republic of South Africa, Cyril Ramaphosa together with the Minister of Health, Dr Aaron Motsoaledi, will on Friday 31 March, launch the new National Strategic Plan on HIV, TB and STIs (2017-2022) in Mangaung, Free State. The launch of the NSP is one of the highlights of TB month which is commemorated annually across the globe to raise awareness about Tuberculosis (TB). The NSP is the strategic guide for the national response to HIV, TB and STIs in South Africa. One of the objectives of the Plan is to intensify focus on geographic areas and populations most severely affected by the epidemics. This Plan is usually developed for a period of 5 years, and the current one is coming to an end on 31 March 2017. The slogan of this new NSP is, “Let Our Actions Count” which is a call to action for all South Africans to play a part in achieving the goals of the Plan. This year the government is targeting mainly leaders of society such as Parliamentarians, Members of Provincial Legislatures, Councillors, Traditional leaders, Business leaders, Religious leaders and Civil society to commit themselves in the response to HIV, TB and STIs and to engage their communities and constituencies. RSVPs: Please contact Foster Mohale on Foster.Mohale@gmail.com/0724323792 OR Kanya Ndaki on 0832986100/ Kanya@sanac.org.za.